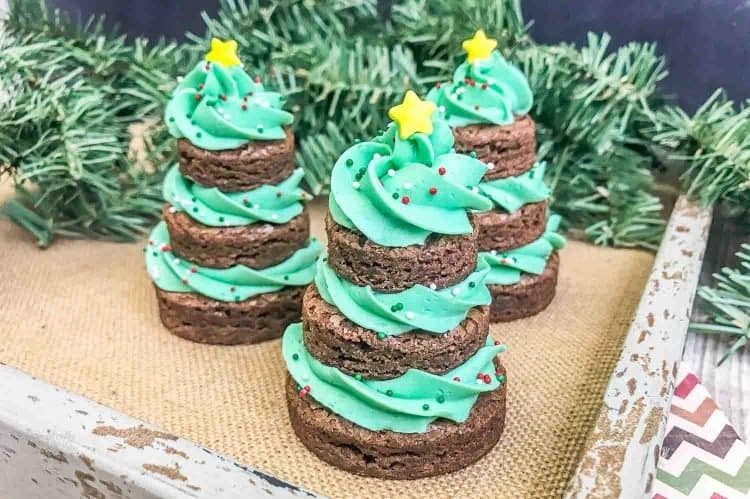 Christmas Tree Brownies are an adorable holiday tree that are absolutely delicious too! This an easy holiday recipe that will become a family favorite. 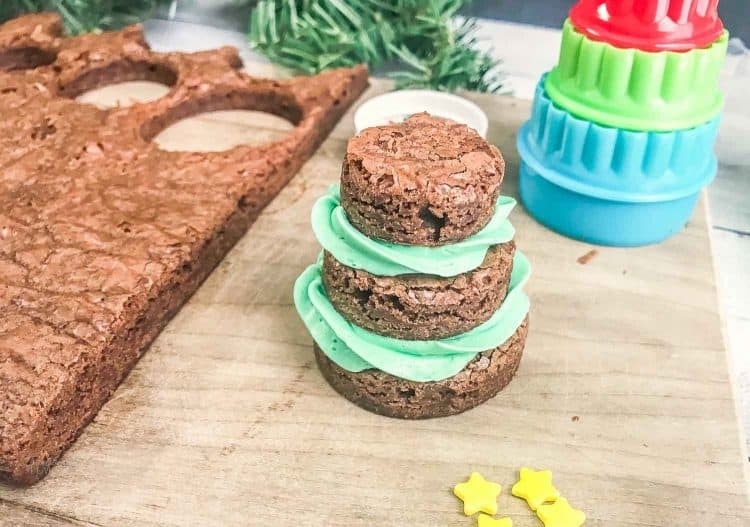 Don’t these Christmas Tree Brownies look like something you’d order at a bakery! 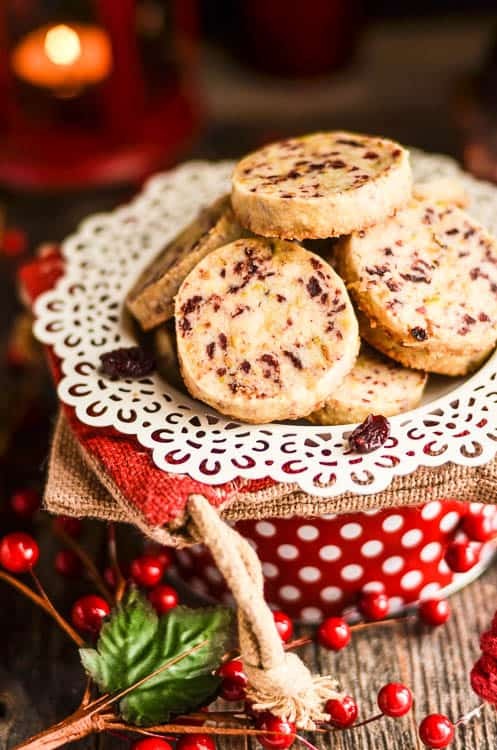 Yet you can totally impress your friends, neighbors, family with these adorable holiday treats! Let’s get into how to make these festive treats! First you need to make the brownies. I just use a boxed brownie mix. I’ve tried homemade brownies, but I love boxed brownies… I personally think they always taste better. You make what you like though. 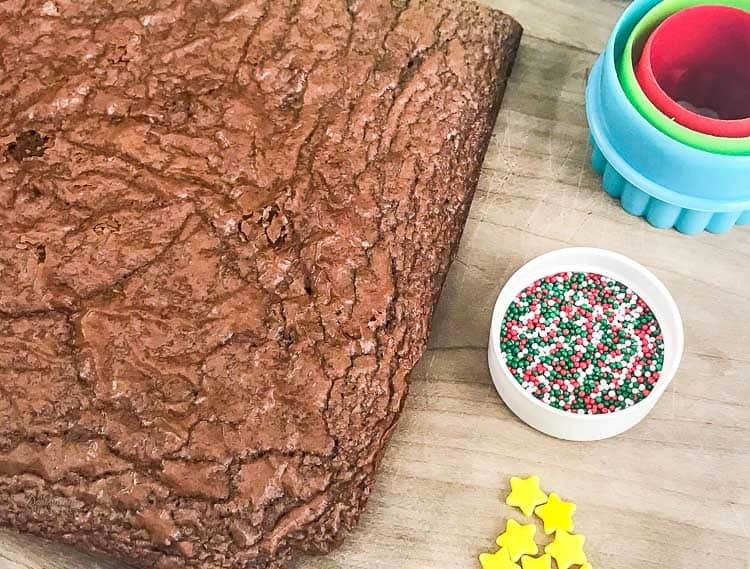 You want to make your brownies in a 9 x 13 pan. While your brownies are cooling you can make up your frosting. 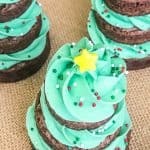 A fun Christmas dessert treat that everyone will love!!! 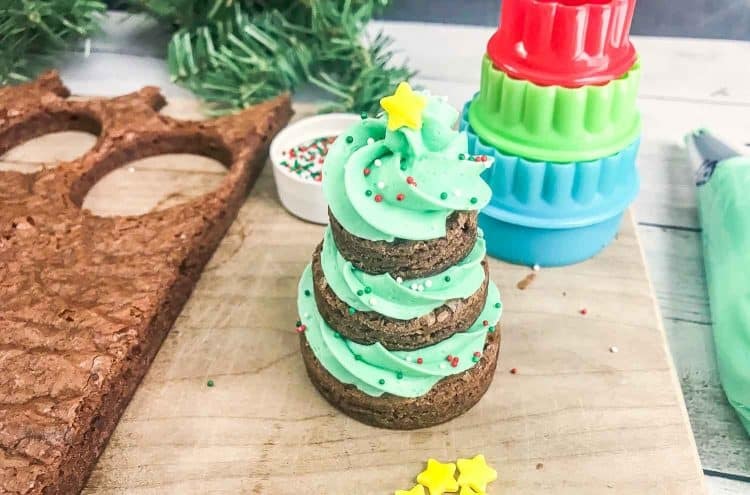 Brownies and frosting with cute candies make these fun trees. Combine the powdered sugar, softened butter and vanilla extract. Add in 1 tablespoon of milk at a time, as needed until the frosting as reached your desired consistency. 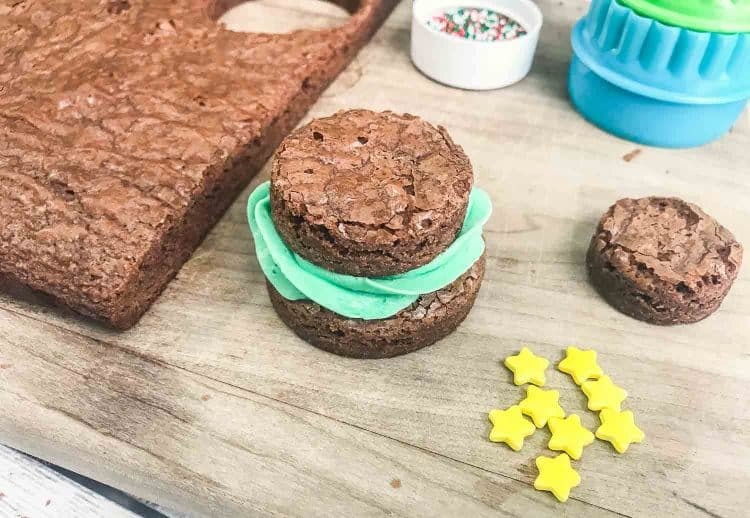 Attach the star tip to the piping bag and fill the bag with green frosting. Once the brownies are cool is time for the assembling fun! 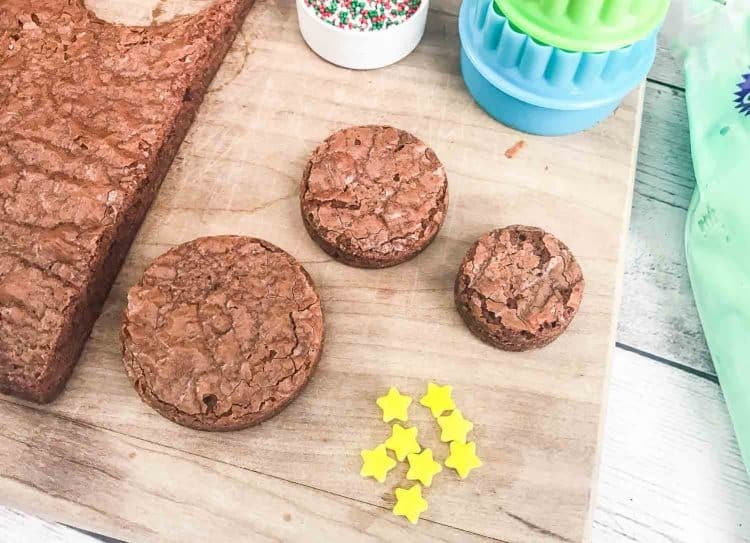 Now for each Christmas Tree Brownie you need to cut out three different sized circles of brownie. Gently squeeze the frosting out of the bag and onto the top of each brownie (I started with the biggest and stacked). 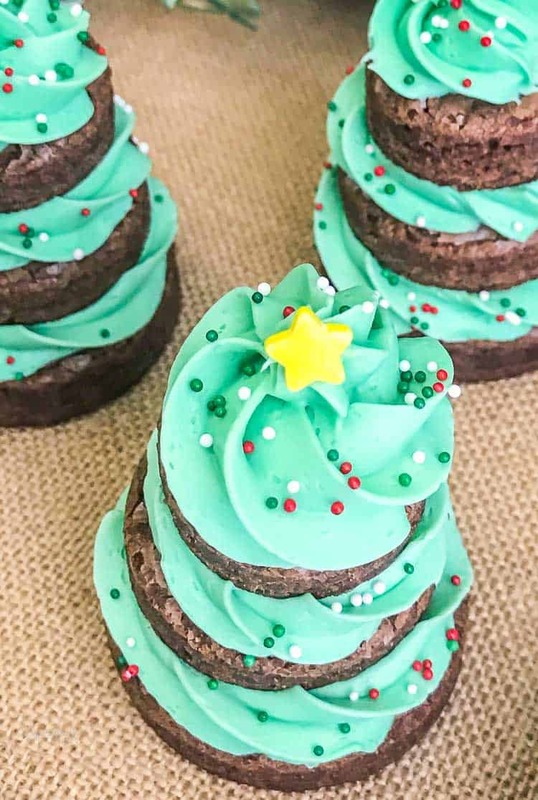 Top the last brownie with frosting to resemble to top of a Christmas tree. Add a star on top and holiday sprinkles. Repeat with the rest of the brownies. Aren’t they so fun! I hope you have get a chance to make these festive trees. Here’s some other Christmas treats you might love too! Love them! Definitely on my “must make” list. Thanks for sharing. 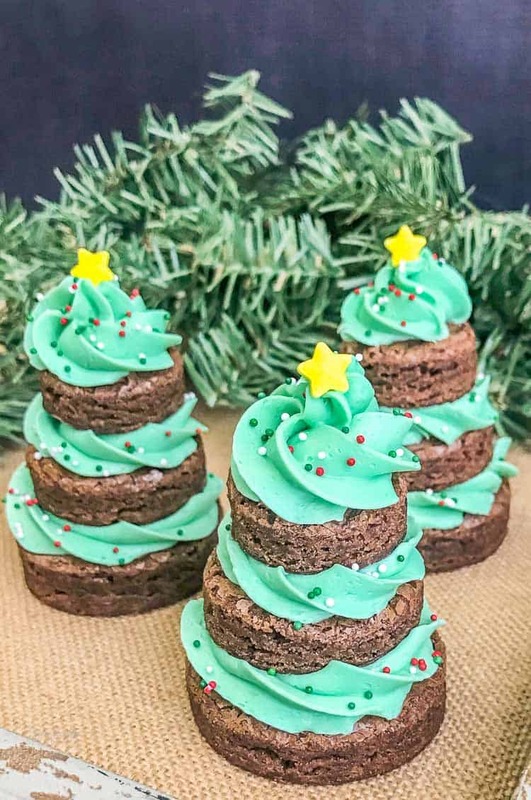 The brownie trees are sooo cute.